I’m going to try to keep this organized and focused, because there’s way more that I could say than anyone actually wants to read. But I feel like I need to get this written down. When Link format hits, I’m not playing Yu-Gi-Oh anymore. I already stopped playing in paper, dissolved my decks, and sold some of the more expensive stuff. I’ve kept playing a bit on YGOpro, because some habits are hard to break. But by the time this article is posted, I’ll have uninstalled that as well. To understand why, I have to get into why I was playing the game. In terms popularized by Mark Rosewater here, I am a Johnny with a bit of Spike. That means that the enjoyment that I get out of card games is focused around creating something that is my own, and more specifically, something that is at least a little competitively viable. For most of the six years I’ve played this game, that’s been possible. It’s certainly been difficult, and easier at some times than others (compare HAT format to Dragon Ruler format). On the whole, though, I’ve been able to play something that’s able to take games from top decks, and it’s been something that was wholely mine. I’m going to briefly talk about what I’ve played, because it might be relevant later. If you already know, or just don’t care, feel free to skip the following section. In recent years, I’ve focused on two decks that I considered competitive. The first was originally created in the summer of 2014 as a Monster Mash deck. It’s progressed a lot over the subsequent years, but some aspects have persisted. I gave it the name “Potatoes” (Monster Mash > Mash > Mashed Potatoes). When I finally stopped playing it in paper, it looked like this. It had transformed into an all-in OTK deck. I truly believe that this is the only form this deck can take. Any combo-oriented deck like this that isn’t meta probably can’t set up a strong enough turn 1 board consistently, because if it could, it would be meta. It probably also can’t play the long game, because you don’t have the resources to beat tier 1 strategies. As a result, the optimal way to win is to do it in one turn. I didn’t like doing that. It generally is solitaire. The times when your opponent has interaction that it is possible to beat but non-obvious are few, so with enough practice I can essentially just play on auto-pilot around 90% of the time. It was the only way to stay viable, though. To contrast with this strategy, I had made Ghostricks. This deck is generally considered a gimmicky stall deck, and I agree that it is often built that way. I think that’s very incorrect, though. I built it as a tempo deck, keeping your opponent off-balance for long enough to swing in with your Ghostrick Angels and the occasional beater provided by Rank-Up-Magic: Limited Barian’s Force. Somehow, when building it, I always ended up about 15 cards short, and there were a number of engines that could slot in. I liked Darkworlds, seen here. Matchups varied widely. My favorite was against Shaddolls, pre-Construct ban (so 2015). The games tended to go into time, as both decks ended up playing the grind game, but I considered myself generally favored, with better recursion and innevitability. Both of these decks are fun to play. I made both very much my own. I spent months on Ghosts, and years on Potatoes. And once the Link rules become official, neither will be playable anymore. So what’s so bad about Link summoning, anyway? I lived through Pendulum without quitting; what makes this different? The difference is the rules change that’s accompanying the introduction of Link monsters. There are a number of subtleties, but the important point is that it is now basically impossible to have two extra deck monsters on your field without Link summoning. If you’ve ever seen a Yu-Gi-Oh video I’ve made, that’s kinda… all I do. Both of those decks and most of my others, my favorite things about this game, are dead to the rules change. Now, I could work around it. Maybe I could update the decks to incorporate Link (which would involve drastic and difficult changes), or maybe I can make something new that’s my own in this new format. Personally, I find both those options very unappealing. Let’s talk about why. As much as I can’t stand Konami’s policies and strategies when it comes to creating and banning cards, I have this to say for them. If you are a casual player, you’ve largely been left intact. It’s the competitive players, the tournament chasers, who get hurt by the banlists, by the poor card design and worse balancing. They know what they’re getting into. If you’re playing kitchen table Yu-Gi-Oh so to speak, the game is basically unchanged. Maybe it was hard to get used to the first-player-doesn’t-draw thing. Maybe it was confusing when a card that you used fairly got banned. What Konami has done here is far, far different. There’s very little precedent for what they’ve done here, so it isn’t easy to evaluate all the implications, but it doesn’t look great. Let’s pretend for a second that this change wasn’t purely profit-driven. For someone trying to do their own thing on the cheap, hoping to keep up through clever deckbuilding, tight play, and a bit of luck, this is a nightmare scenario. Does Link summoning help the situation? I think not. Maybe I’m wrong. I hope I’m wrong. But I’m not sticking around to find out. I’ll preface this by admitting that I haven’t really read most of the Link monsters. Hopefully that’s understandable. My understanding, though, is that the generic ones are… very generic. 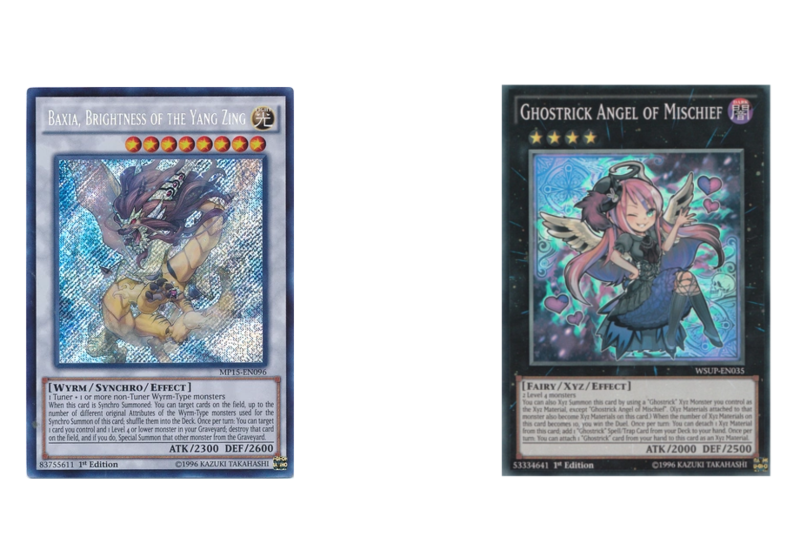 Requirements like that of Decode Talker (2+ Effect Monsters) and Proxy Dragon (2 Monsters) are additions to a trend of generalization that’s been active since 5Ds era. Fusion monsters generally require 2+ specific monsters. Synchro monsters are more generic, but have level requirements and must include a tuner. Xyz monsters are more generic, doing away with the tuner. Pendulums are more generic, replacing the specific level with a level range. Why is this a problem? Well it isn’t really, but it is to someone who plays the game to create something for themselves. When the requirements to play the most powerful extra deck cards in the game are relaxed, there is little reason to play any but the best cards in your main deck. I consider this a more long-term part of why the power gap is widening. Compare the simple, brutal efficiency of rank 4 toolbox decks against the closest equivalent deck in the synchro era, Plant Synchro. The hoops the plant pilot had to jump through, and the delicate tuning of deck construction, far outweigh the considerations of the rank 4 player. Again, I don’t really know if this will happen in the TCG metagame. I hope it won’t. But I’m still not sticking around to find out. Listed out like this, there’s… a lot that can go wrong here. The thing is, though, most of it isn’t a problem for a lot of people. I’ve kinda pigeonholed myself into the Johnny/Spike demographic, and looking back on it, Yu-Gi-Oh isn’t really the place for that kind of player. In retrospect, I’m surprised I lasted this long. Most of the people I played with in person consistently are close to pure Spikes. They care about the competition, about getting the better of their opponent, proving themselves. For them, I expect Link format will be a lot of fun. The one outcome of the rules change that I consider positive is the drastic rise in complexity to the gameplay. Outside of deckbuilding, piloting a deck in this new era becomes more difficult, which provides more room for improvement, which provides a way to prove superiority through gameplay. I wish them the best of luck. I’m not that kind of player. 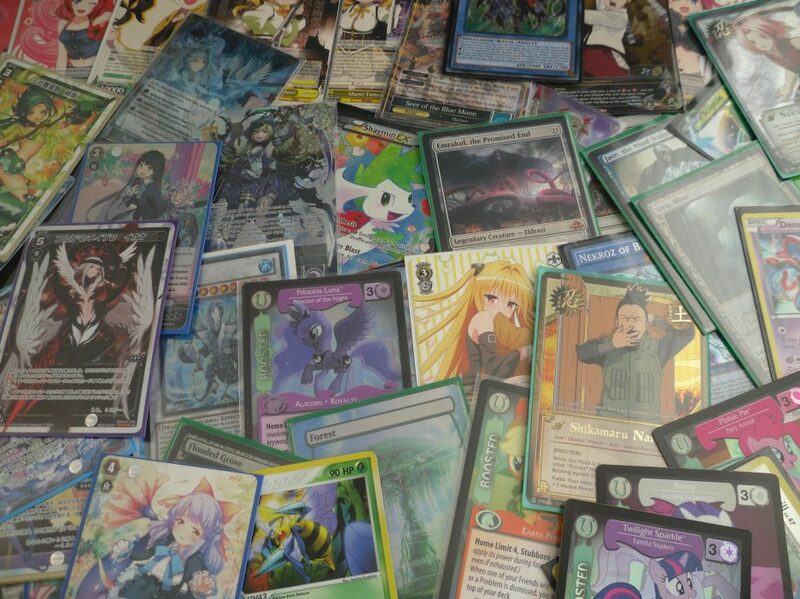 The last thing I’ll do before uninstalling YGOpro is make a video as a summary of my Yu-Gi-Oh career. It’s been fun. I want to remember it. You can find that video here. Next > WHY I HAVEN’T POSTED IN MONTHS: SUMMER 2017 AND THE DEATH OF TOOMANYCARDGAMES?! It seems that people are either quitting or carrying on like business as usual, check out my page and take a look at my banlist prediction for the upcoming September format.